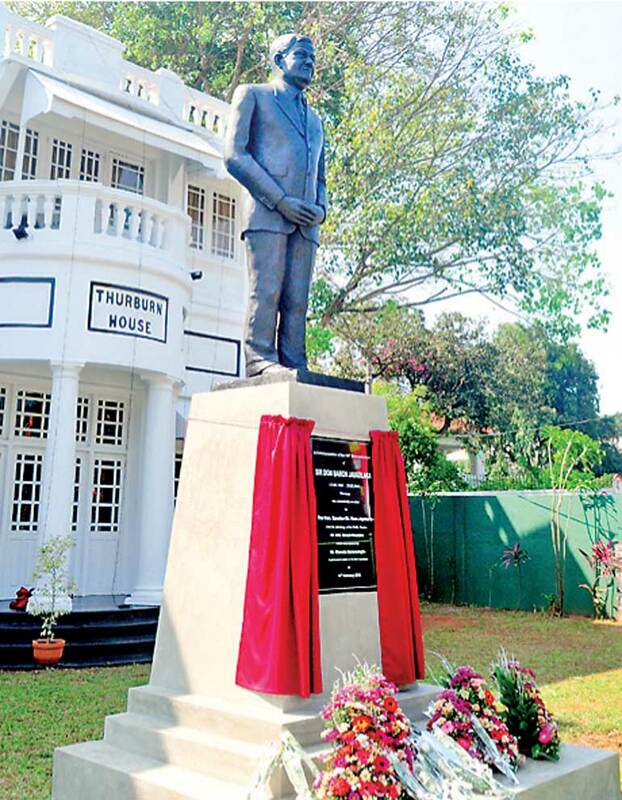 A statue of the late D. B. Jayatilaka was unveiled in commemoration of his 150th birth anniversary celebrations, last week at the Department of Public Trustee in Colombo. Sir Don Baron Jayatilaka, known as D. B. Jayatilaka, was a Sri Lankan educationalist, statesman and diplomat, and was Vice-President of the Legislative Council of Ceylon, the Minister for Home Affairs, Leader of the House of the State Council of Ceylon, and Representative of Government of Ceylon in New Delhi. On behalf of his great service to Sri Lanka and his tireless efforts to make this country a stronger and more diplomatic one, the Department of Public Trustee, together with members from his family and friends, commemorated every ounce of determination he laid for the country. In 1890, Jayatilaka met with Henry Steel Olcott and joined his campaign to establish English medium Buddhist schools in the country. In 1898 he was appointed as the Principal of the Buddhist High School in Kandy and thereafter became the vice principal and later principal of the English Buddhist School in Colombo. “The history of the world is nothing than biography of great men and the history of Sri Lanka is definitely not complete without the special mention of Sir D. B. Jayatilaka. Ceylon turned to India during the food shortage during World War Two and it was Sir Jayatilaka who was sent to bring back home shipments of barley and such. 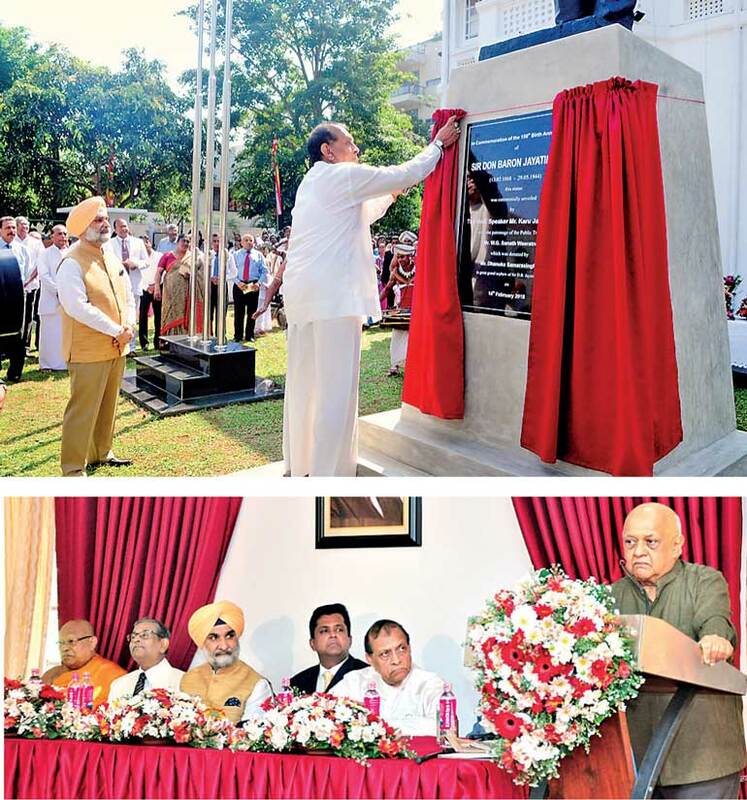 He remained a true son of Ceylon and would forever remain a true friend of India,” High Commissioner Sandhu continued. He was instrumental in the establishment of the Young Men’s Buddhist Association (YMBA) in Borella, becoming its President in 1898 and holding the post until his death. He left for Europe in 1910, where he attended as the representative of Ceylon, at the Congress of Religions in Berlin, gained a BA from Oxford and became a Barrister. During the 1915 riots, Jayatilaka was arrested under orders of General Officer Commanding, Ceylon for seditious speeches and writings and was imprisoned under the martial law. Soon after his release, he left for Britain where he campaigned for the injustices of Ceylon, and called for a Royal Commission to investigate the 1915 riots. When the National Congress of Ceylon was formed, he became its representative in London. In 1943 he became the first Sri Lankan to be dubbed as a knight, and was the founding chief editor of the monumental monolingual etymological Sinhala dictionary, Sinhala Śabdakoṣaya. His extraordinary leadership of the project and editorial service extended from 1927 through 1941. D. B. Jayatilaka’s life was supremely outstanding. He was an intellectual endowed with an inexhaustible fund of courage and a perceptive vision, a noble personage who served the causes of his country with an immaculate perception, and a national hero in no way indebted to his motherland.